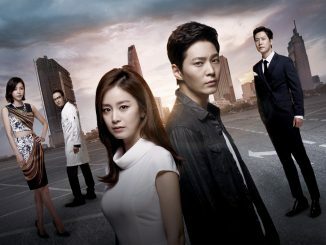 Finally, the details that you’ve been waiting for are here! 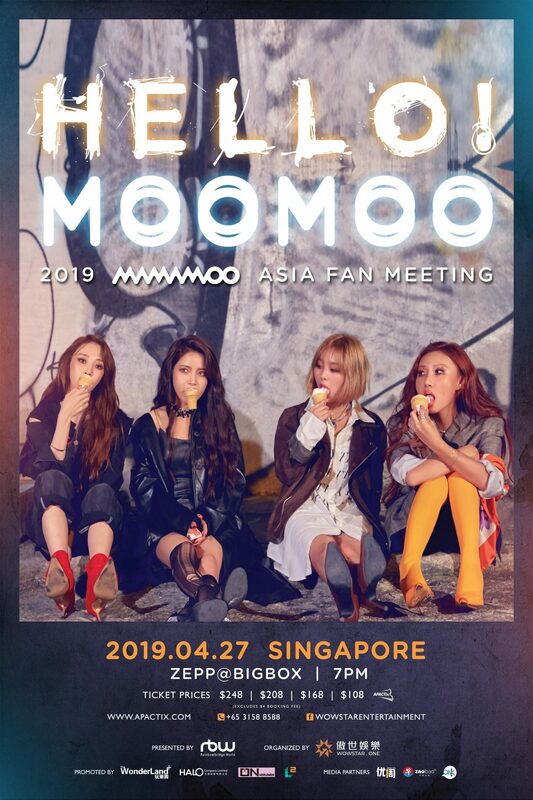 Previously announced their Asia Fanmeeting tour cities in December 2018, MAMAMOO has firmed up more details for the Singapore leg of the tour which will be taking place on April 27 at ZEPP @ BIGBOX. Having successfully wrapped up their shows in Bangkok and Jakarta, MAMAMOO performed to a whopping 5,000 crowd with a power-packed setlist of 12 songs (including encore) for each show. 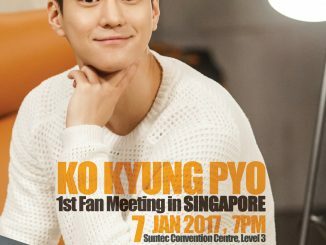 The 4-member girl group also surprised fans by donning local traditional costumes, gifting fans a memorable time at their Fanmeetings. 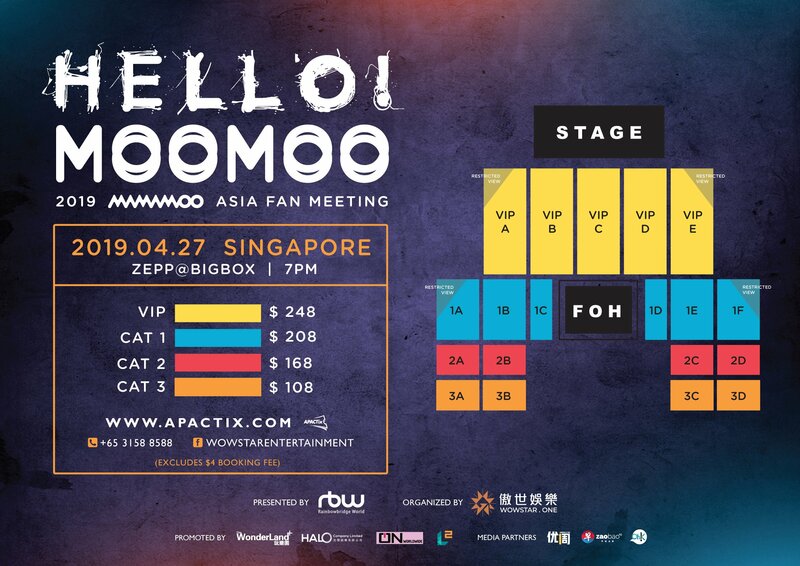 Fans in Singapore can definitely look forward to yet another surprise from MAMAMOO at the upcoming Fanmeeting, and get to hear them perform the latest tracks from their 9th mini album that was recently released. All tickets will be available for sale via APACTix, both online and offline at the outlet, on March 22 (Friday) from 10am onwards. 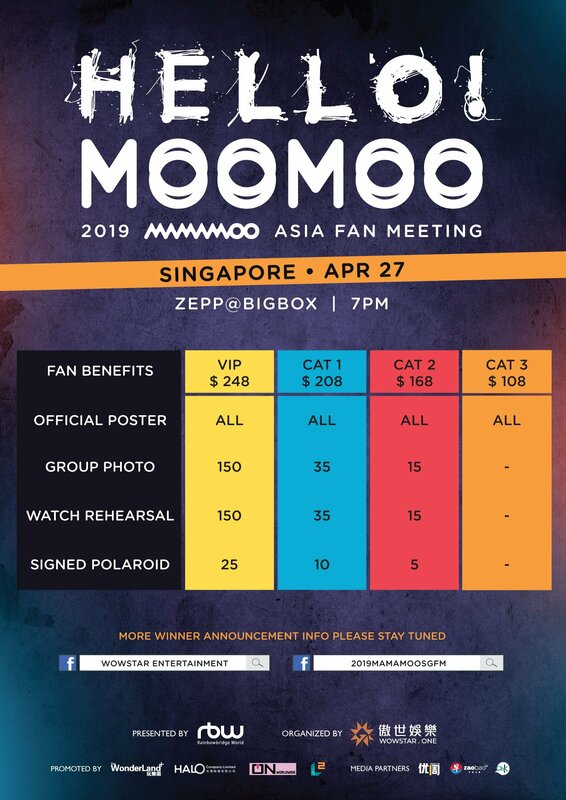 Every ticket holder (except Category 3) will also be enrolled into a lucky draw to win soundcheck party passes, exclusive group photo opportunity with MAMAMOO (10 persons per photo), or receive a signed polaroid on the show day. All ticket holders will also receive an Official Poster and stand a chance to play games with MAMAMOO on stage.